Capelin are small pelagic schooling finfish, which inhabit the North Atlantic. In Canada, they are primarily landed in the Gulf of St. Lawrence and off the Scotian Shelf. Stocks in these two regions are fished using different gears and are managed and assessed by different governing bodies. 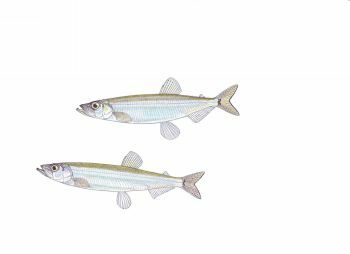 Capelin have a low inherent vulnerability to fishing pressure as they are short‐lived, have a high fecundity, and mature quickly. Capelin abundance data are not available and population surveys are not conducted for this species in the North Atlantic. No evidence exists to suggest these stocks are being overfished, and landings are below catch limits in the Gulf of St. Lawrence. Despite a lack of biological parameter data, capelin fisheries in both regions are managed by separate Integrated Fisheries Management Plans, which frequently evaluate multiple aspects the fisheries, including ecological, socioeconomic and institutional components. These fisheries also have a proven track record of always following scientific advice from the internally peer‐reviewed scientific assessment arm: the Canadian Science Advisory Secretariat. Capelin fisheries in both the North Atlantic and Gulf of St. Lawrence are only permitted to keep their targeted catch (i.e. capelin). Thus, all other by‐catch species are discarded. Some commonly caught by‐catch species (e.g. 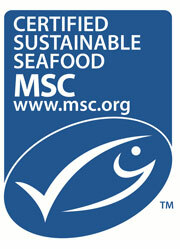 Atlantic cod, Atlantic salmon) are of high concern as they are listed as threatened, endangered or of‐special‐concern. Except during rare occurrences, purse seines do not contact the substrate. Consequently, this gear type does not have a significant impact on benthic habitats and ecosystems. Capelin are small pelagic schooling finfish, which inhabit the North Atlantic. In Canada, they are primarily landed in the Gulf of St. Lawrence and off the Scotian Shelf. Stocks in these two regions are fished using different gears and are managed and assessed by different separate units. Despite a lack of biological parameter data, capelin fisheries in both regions are managed by separate Integrated Fisheries Management Plans, which frequently evaluate multiple aspects the fisheries, including ecological, socioeconomic and institutional components. While by-catch mitigation strategies exist for each fleet, the tuck seine and trap net fisheries lack observer coverage and there is an overall lack of research into the impacts of these gears in terms of by-catch. Seine nets rarely contact the seabottom. Trap net gear does contact the substrate, but it has been scientifically show that this gear only affects habitats of low complexity with minimal impact. There are mitigation measures (e.g. mesh size restrictions, season closures, etc.) in place to further reduce ecosystem by trap gear.